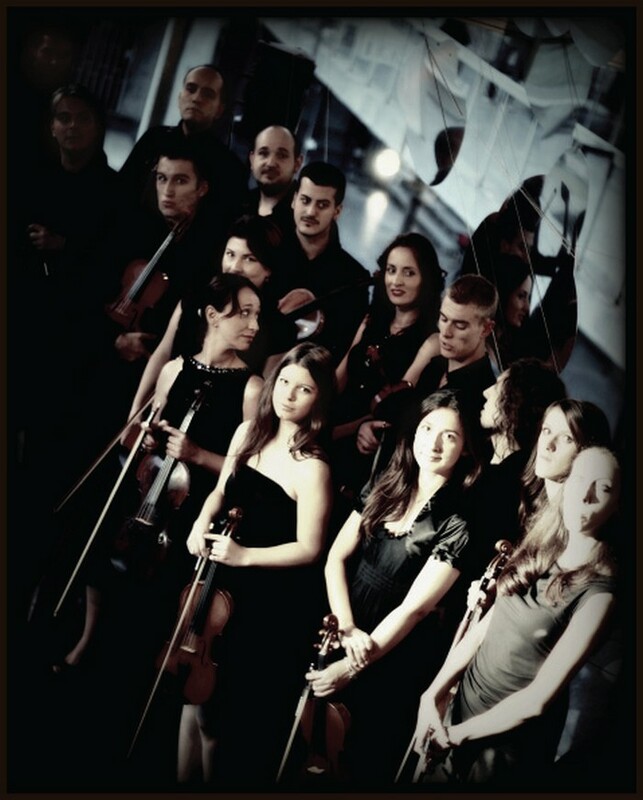 The chamber Ensemble Metamorphosis was founded in 2005 on the initiative of Saša Mirković, its violist and artistic director. Right from the start, the ensemble has been dedicated to performing works in the liminal genres of artistic music, such as new music, world music, works that approximate or contain elements of popular styles, as well as familiar works from the Western music tradition but dressed in ‘new clothes’ – in different, new arrangements and stagings, which constitute a sort of response to the present moment, the audience’s preferences, and globally prevailing performing practices. Seeking to aid not only the promotion, but also the development of Serbian music, Metamorphosis is especially dedicated to commissioning and premièring works by domestic composers. Over the course of its relatively short existence, the ensemble has performed an impressive number of works that were dedicated either to the ensemble itself or to Saša Mirković. Since its founding in 2005, the ensemble has collaborated with probably the most successful representative of world music in Serbia, the composer Goran Bregović, with whom, as part of his projects Orchestra for Weddings and Funerals, Tolerant Heart, Alcohol, and Memoirs of Queen Margot, they have performed on numerous tours and at festivals and concert halls across the world: Théâtre National de Toulouse, Essen Philharmonic, Avery Fisher Hall at Lincoln Center, Carnegie Hall in New York, Walt Disney Hall in Los Angeles, the respective concert halls of the Luxembourg, Chicago, and Israeli Philharmonics, Sydney Opera, Palau de la Música Catalana in Barcelona, and elsewhere. In recent years, the ensemble has also pursued projects of its own. The first performance along these lines was held as part of the World Music Day celebrations in Belgrade on 21 June 2010 and in December that year there was a rather successful and well attended concert at KoMA (Koncerti mladih autora, Young Composers Concerts) festival, held at the Belgrade Philharmonic Hall. On the initative of Saša Marković, six young composers espousing quite divergent personal poetics composed, especially for this occasion, new concertante works for viola and chamber orchestra, which was a contribution to enriching the otherwise poor viola repertory in Serbian music. Another significant project of the ensemble was their evening-long performance with the globally popular violinist Vanessa May in February 2011 at the Belgrade Arena, as was a concert featuring their original music at the Organ Days Festival. The following year, 2012, was marked by performances in Serbia and numerous other independent projects. In 2013, the ensemble resumed its collaboration with Goran Bregović by performing with him at concerts in Switzerland, Austria, and Spain, and completed its new programme, which was presented to the public at the Theatre City festival in Budva, Montenegro, and BEMUS in Belgrade. The ensemble dedicated most of 2014 to preparations for celebrating their tenth anniversary in 2015 and the release of three CD albums. The jubilee year saw a large number of première performances of music by Serbian and foreign composers alike and presented the ensemble in full splendor.